Bet365 have built a solid reputation over the last 15 years among their seven million customers in over 200 countries. Their sportsbook is widely accepted as the best in the online gaming industry and saw over £12 billion in sports wagers in 2012. Not to mention that the Bet365 mobile casino and poker software is regarded by most experts as the best on the planet. Bet365 has 3 offers to choose from: a standard bonus of 100% up to £200, a slots bonus of 200% up to £400, or a VIP bonus of 50% up to £1,000. The following review of the Bet365 Casino for Mac will tell you everything you need to know before opening up a new player account with them, including whether or not their games are Mac compatible. We then give you step by step instructions on how to open an account, break down their various sign up bonuses, and list which deposit methods they accept. Is Bet365 Casino Mac Compatible? The Bet365 Casino is currently Mac compatible in a browser in their Flash casino, however our team of writers have reported that they sometimes experience software crashes in the middle of a game. Therefore we here at MacCasino.net are very hesitant to give the Bet365 Casino our stamp of approval that they are Mac compatible, as their desktop product is just too unstable. If you would like to play in a reliable Flash casino please read our review of InterCasino, or if you would like a fully downloadable casino for Mac please read our 888 Casino review that tells you everything you need to know about their software and bonuses. Putting their desktop product aside for a moment, if you are someone that usually plays on the go, our experiences have shown that Bet365 does have a rock-solid mobile casino for both iPads and iPhones that looks marvelous on Apple’s mobile devices. It is somewhat confusing how a company can pretty much neglect the home market for Macintosh, but then go all-out for that company’s mobile customers. Perhaps this should not be surprising since most online casinos have become focused solely on the mobile market, and are spending a lot more money on mobile software development. The Bet365 Casino offers new players three different sign up bonuses, and each one has a little something for everyone. First up is their standard sign up bonus of 100% up to £200 that can be used to wager on any casino table game or slots machine; (the bonus code is “BONUS100”). Second is their Slots Only sign up bonus which is 200% up to £400, and as the name suggests, the funds can only be wagered in their slots parlour, (the bonus code is “SLOTS200”). Finally they haveaVIP sign up bonus of 50% up to £1,000, but with a minimum initial deposit of £400, (the bonus code is “VIP500”). 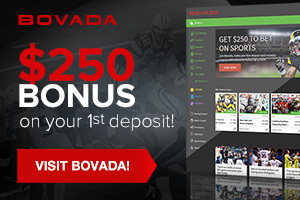 Players are responsible for entering the correct bonus code when making their first real money deposit. The issue with these bonuses is that the Bet365 Casino has attached a ridiculously high rollover on each bonus, and the rollover requirements fluctuate from country to country. “Rollover” is the amount of times that the bonus amount issued must be wagered before it can be withdrawn. For example, if you live in Canada and deposit £100 and opt for their 100% bonus, you will obviously be issued a £100 bonus. You then would have to wager the £100 bonus 100 times in their casino before you could withdraw it, (or any winnings associated with it). When you do the math you realize that you need to make £10,000 in wagers before you can withdraw your£100 bonus, and we here at MacCasino.net think that is pretty high. Although it can be quite easy to generate this much in wagers playing in a casino, the standard rollover in the UK or Canada is usually around 20 or 30 times. There are a few other things to note with the Bet365 sign up bonus. Firstly, if you do not meet the rollover within 30 days of your first deposit, all bonus funds will be returned to the house. Also, if you attempt to make a withdrawal before you have met the bonus requirements you will not only forfeit the remainder of your bonus, but any winnings as well. Therefore you must be certain that you have fully cleared the bonus before requesting a cash withdrawal. The Bet365 Casino makes up for their “hard to get” sign up bonus by offering their regularandVIP players numerous promotions throughout the year. Twice a month they offer a bankroll boosting bonus of 25% up to£500 when you deposit £50 or more, and they have a permanent cash back promotion for mobile casino users from 5 to 20%. Bet365 also has a fantastic casino comp program that starts at the Bronze level, and tops out at Diamond status, which is invitation only. Opening a new betting account at the Bet365 Casino is accomplished in less than five minutes. Simply click the big pink “Play Now” button at the top of this page to go directly to their new members section. Once there, click on the yellow “join now” text in the top right hand corner of the page. This will open a new window titled “Open Account” that will ask for normal things like name and address. Once you have filled out everything click “Join Now” and your account will be created. Then simply choose your deposit method and the type of bonus that you would like, then your deposit amount, and you are ready to start playing. As mentioned previously in our review, the Bet365 Casino is not the most Macintosh friendly gambling site on the internet due to their lack of a download casino for Mac, and the fact that many members of the MacCasino.net team experienced issues when trying to place a sports wager directly in their sportsbook. We will admit that when we contacted them about this they were quite apologetic and did confirm that they were hoping to launch a new Mac friendly product soon. However everything is spun 180 degrees when you play at the Bet365 Casino on your iPhone or iPad because their mobile casino for Mac is absolutely astounding. All of the table games like blackjack, roulette and baccarat run fluidly and never freeze, obviously begging the question as to why they did not apply themselves like this for their desktop Mac product. Bet365 also offers numerous mobile roulette tournaments, mobile blackjack tournaments, and mobile slots tournaments so players on the go always have lots of different action to choose from. The Bet365 Casino has built up a wide array of deposit methods over the years so players are sure to find all of their favourite options. First of all they accept payments via all branded debit and credit cards from Visa, Maestro, and MasterCard, and you can even withdraw your winnings back out onto them as well. For those who prefer the simplicity of depositing and withdrawing using their eWallet, Bet365 accepts all major European eWallets including Skrill, NETELLER, PayPal, InstaDebit, Click2Pay, Ukash, PaySafeCard and EntroPay. As Bet365 is an old school gambling operation, they also accept personal checks. However players should note that it can take up to 28 banking days for the check to clear and the funds to appear in their account. Like What You're Seeing? Enjoy Bet365 every single DAY, with a huge variety of bonus offers to choose from! Check out Bet365! Close Open a Bet365 account and start betting right away ! Play Now!